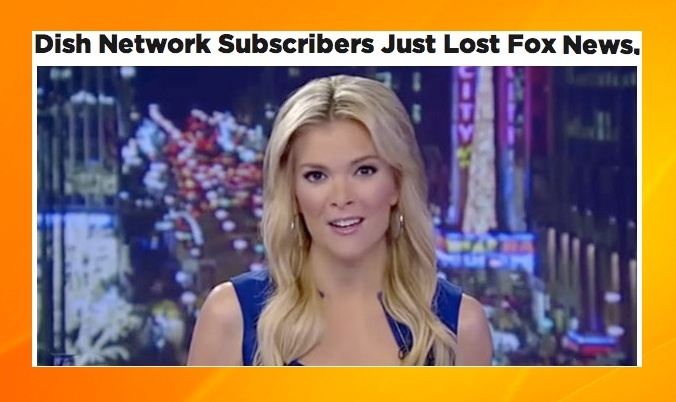 Dish Network Subscribers Lose Fox. Forced To Watch Actual News! Contract negotiations between TV networks and cable and satellite providers have been growing increasingly contentious and this week more networks have gone dark in the middle of a carriage war. Now, it’s horrifying news for many Dish Network subscribers. Fox News Channel and Fox Business Network have been pulled this weekend after the new contract negotiations totally faltered. According to a Dish spokesman, Fox is holding their 2 most popular channels hostage, while renegotiating contracts for other channels that their main audience does not care about. “We have been fielding phone calls all day from despondent and desperate middle aged white men, so believe me, we realize the severity of the situation,” he added. This entry was posted in GTK, Scoop and tagged #dishnetwork, #foxnews. Bookmark the permalink. 1 Response to Dish Network Subscribers Lose Fox. Forced To Watch Actual News!